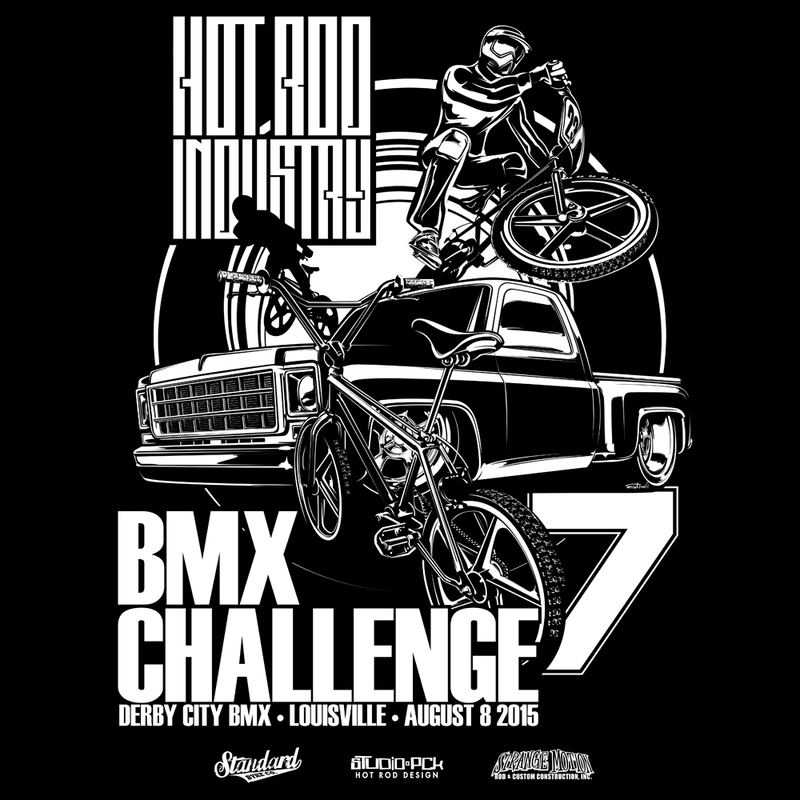 T-shirt design for the invitation-only Hot Rod Industry BMX Challenge. This is a small event held the same weekend as the NSRA Nats, and brings together members of the hot rod community for a fun evening of BMX racing, which is an interest that helped to springboard many of us to this industry. I have been fortunate to have created the artwork for all of these events over the years.